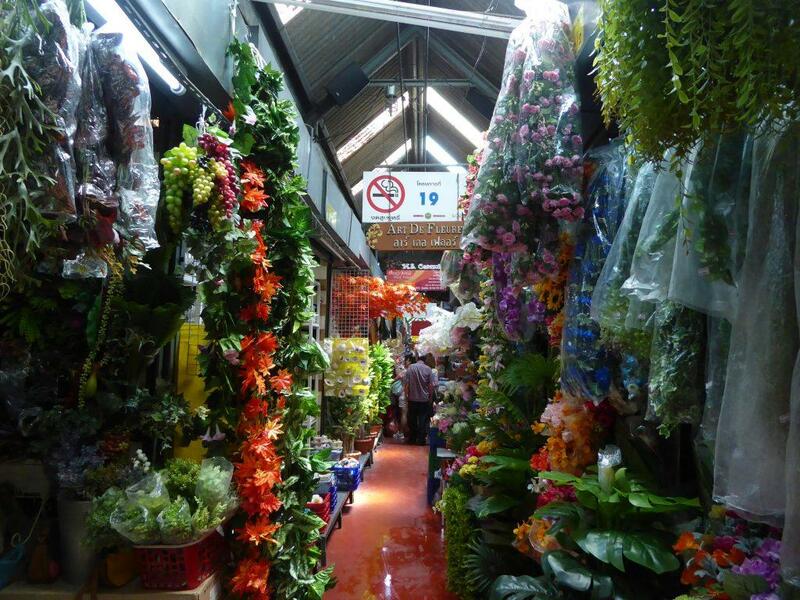 Inside the market is a circular roadway that follows a loop around the market grounds with the shops in between and to the sides in alleyways called a soi. The soi’s come grouped into sections. Each soi is signposted with the soi number and section number. Individual shops have a number. The road is for pedestrians only apart from the complimentary market passenger tram with does continual loops of the roadway. The market has 27 sections. Most of the shops are market type booths secured with shutters. Jatujak Plaza is a newer section that contains glass-fronted shop units and attached to section 27. Some products can be found in more than one section. 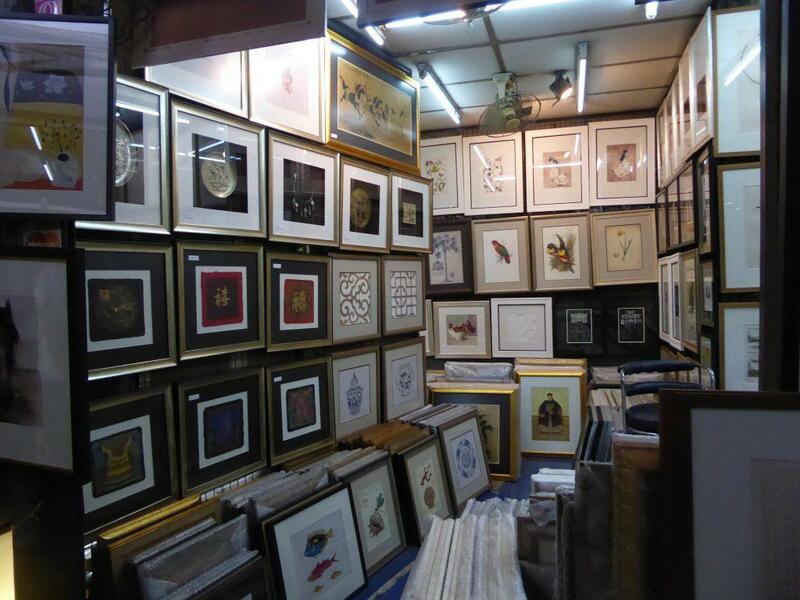 Section 1 – Amulets, books, collectibles, food shops, cafés. 2 to 4 – Collectibles, home décor, paintings, terracotta. 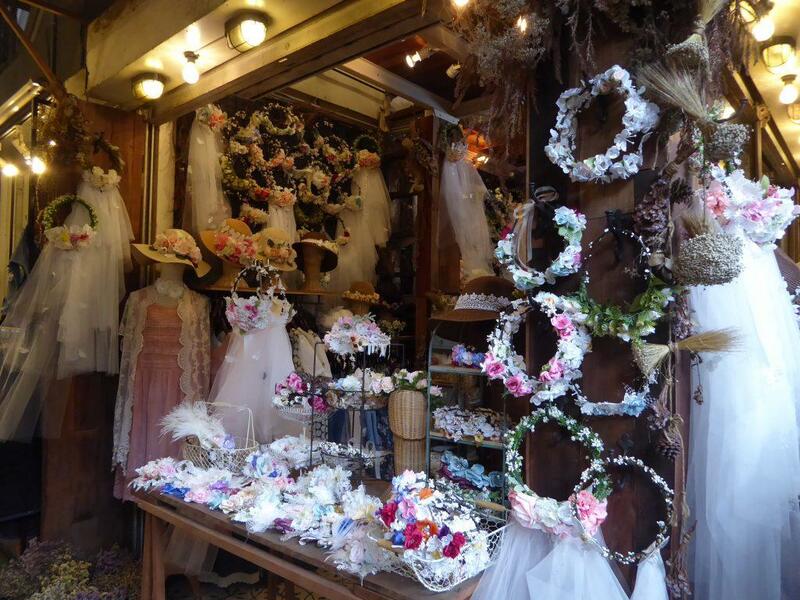 5 to 6 – Clothes, adornments, miscellaneous products. 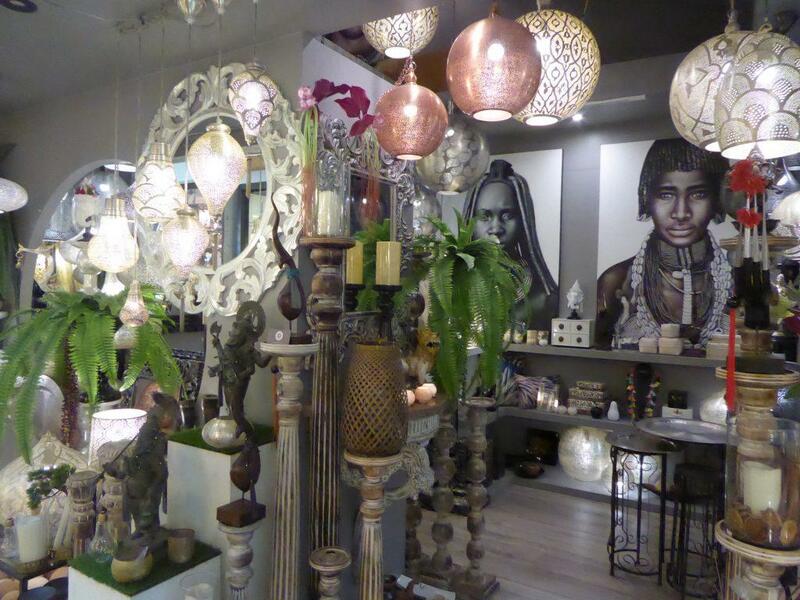 7 to 9 – Antiques, furniture, ceramics, handicrafts. 10 to 24 – Clothes, consumer products, adornments, household appliances, pets. 17 to 19 – Ceramics, fresh and dry food. 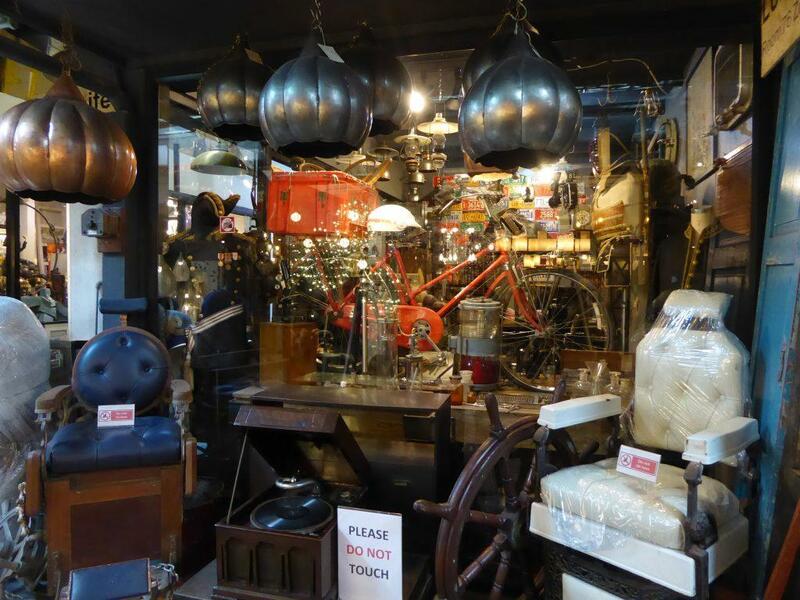 22 to 26 – Antiques, furniture, handicrafts. 27 – Books, food, and dessert shops, collectibles. 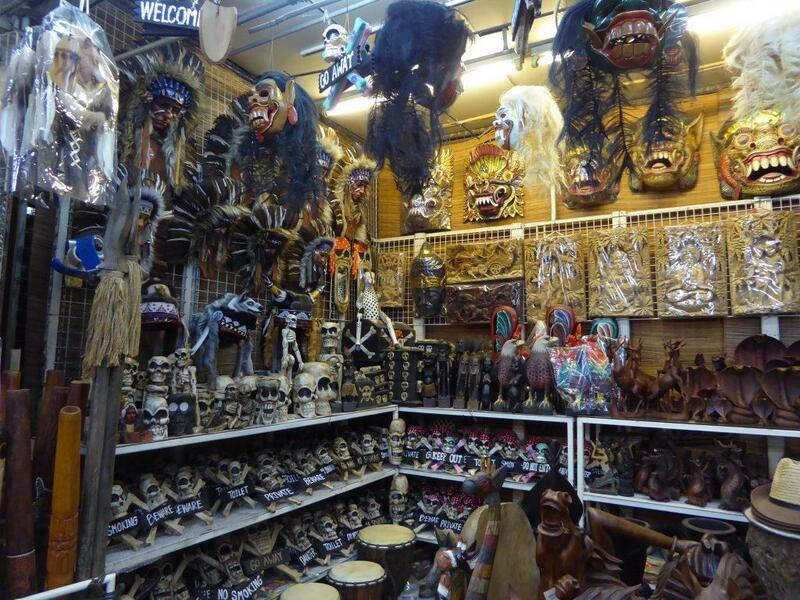 Jatujak Plaza – Art, antiques, home décor, collectibles, furniture, handicrafts, pets. 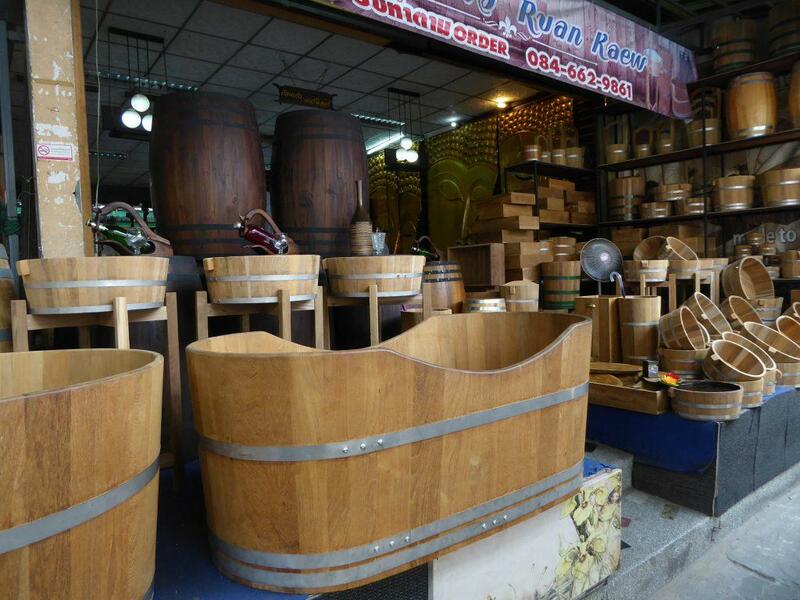 There are some great antiques, ceramics, furniture, handicrafts, and collectible items around the market. Some are original and some are replicas. 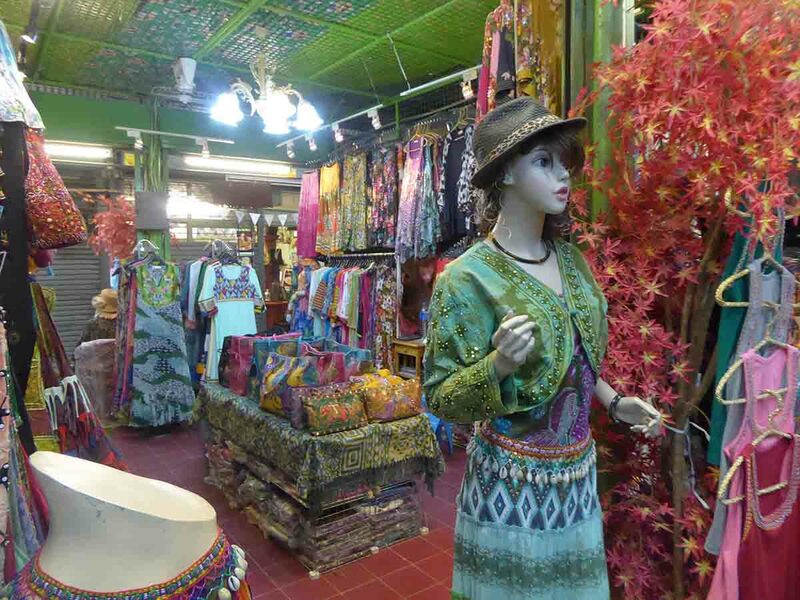 Most of the antique, furniture and handicraft shops can be found in section 26 and Jatujak plaza. 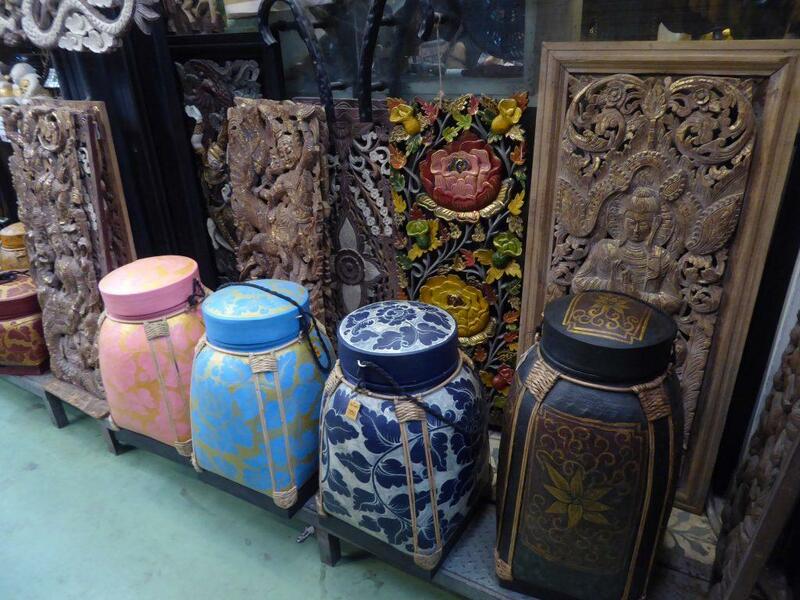 There are Buddha images, decorative items, small and large pieces of furniture including beautiful teak wood pieces, and antique household items such as clocks, lamps, fans, and old telephones. 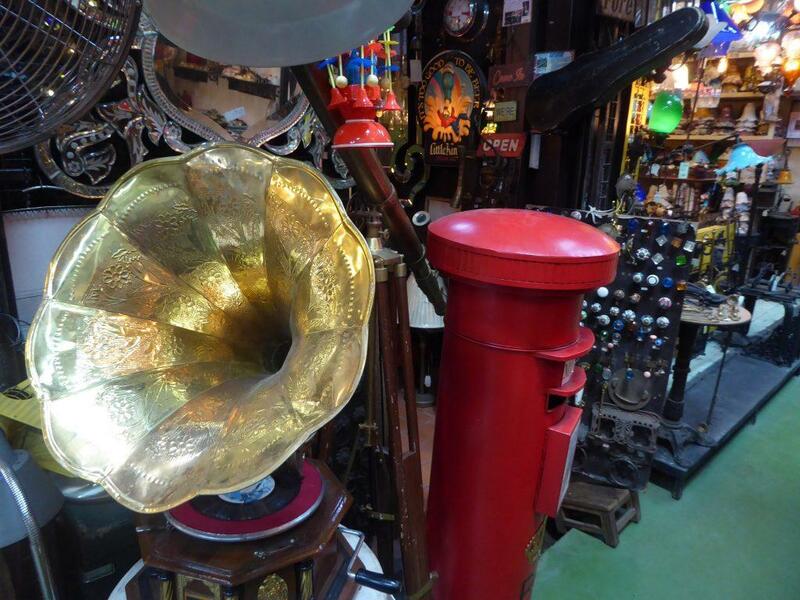 Also more unusual things like old gramophones, old dentists and barbers chairs, old bicycles, and even a postbox. 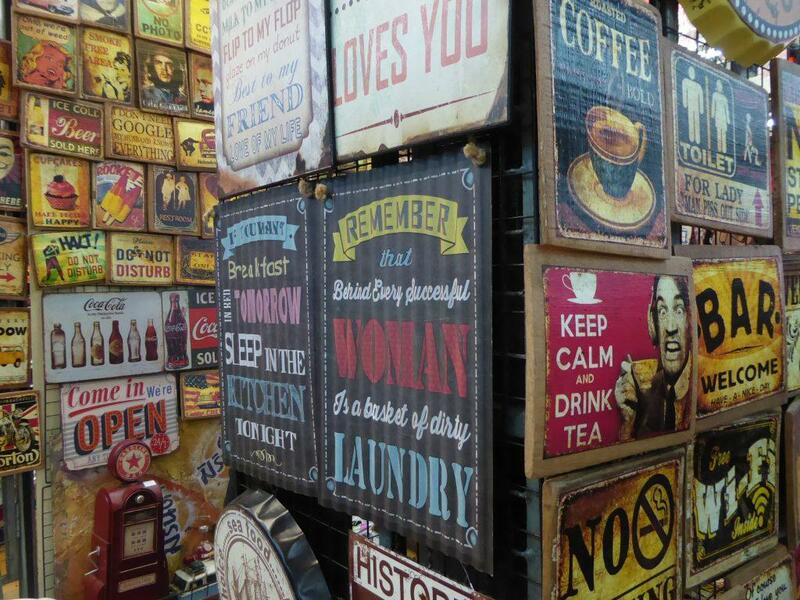 Collectible retro items, such as old signs, glasses etc can be found in sections 2 to 4. 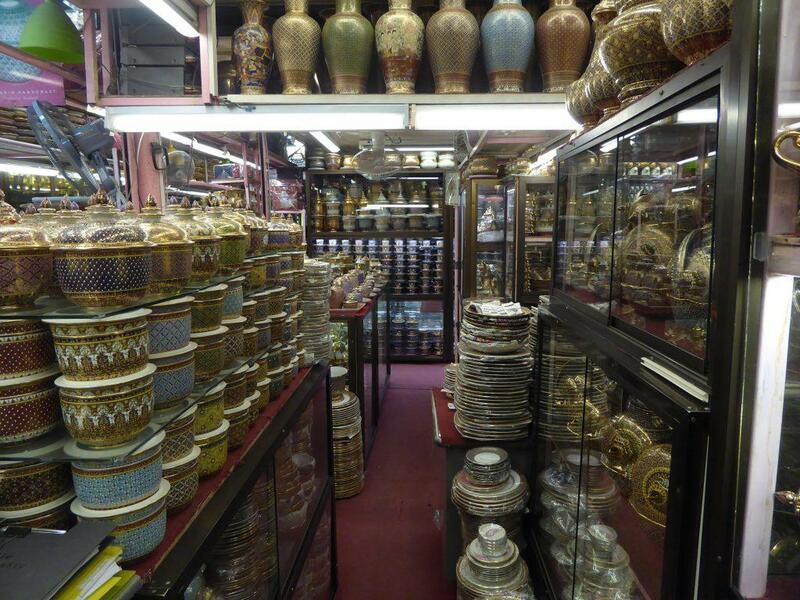 Ceramic shops can be found in sections 17 & 19 where you can find cheap everyday homeware such as plates, mugs, and tableware, cookware as well as more expensive Benjarong porcelain. There are loads of different styles and colors to choose from. Also dolls, animals, and general decorative items. 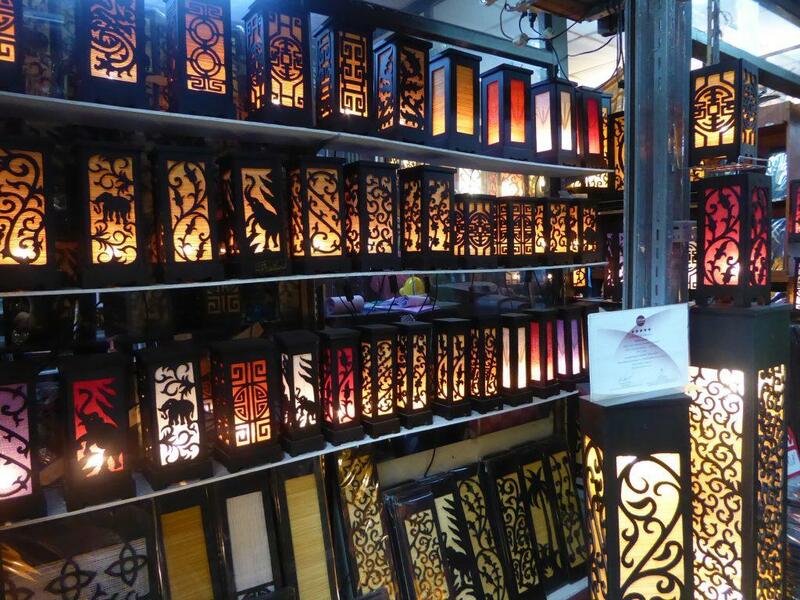 There are Homeware shops around the market selling decorative items, lighting, bedding, throws, curtains, towels, and all kinds of household items. 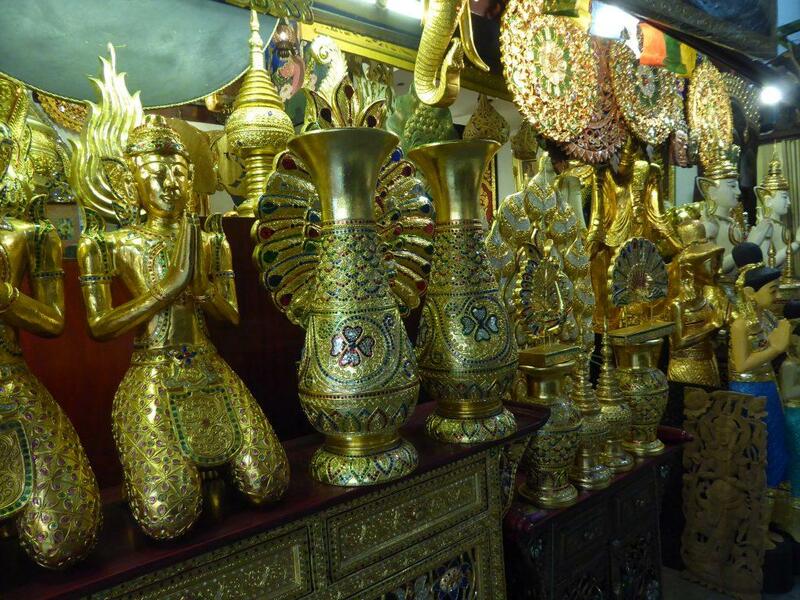 More common items in the market that make good small gifts are incense, candles, chopsticks, soaps, oils, bamboo placemats, wooden bowls, wood carvings, and general Thai themed tourist souvenirs such as model tuk-tuks made from beer cans. 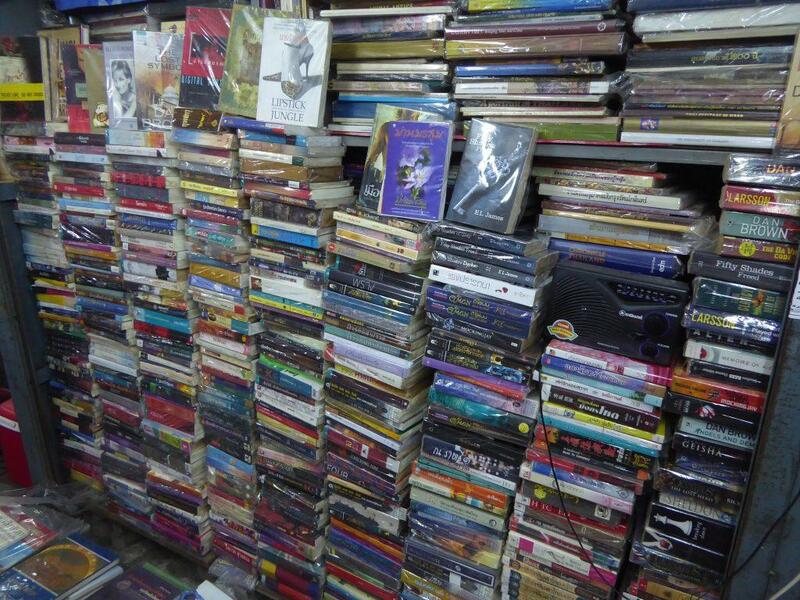 There are several second-hand bookstores with many English titles in section 1 near the MRT Kamphaengphet station exit. You can find fiction, non-fiction, travel books and more. Some shops also sell magazines. Small plants, garlands, and flowers through to trees can be found in sections 15 and 17. 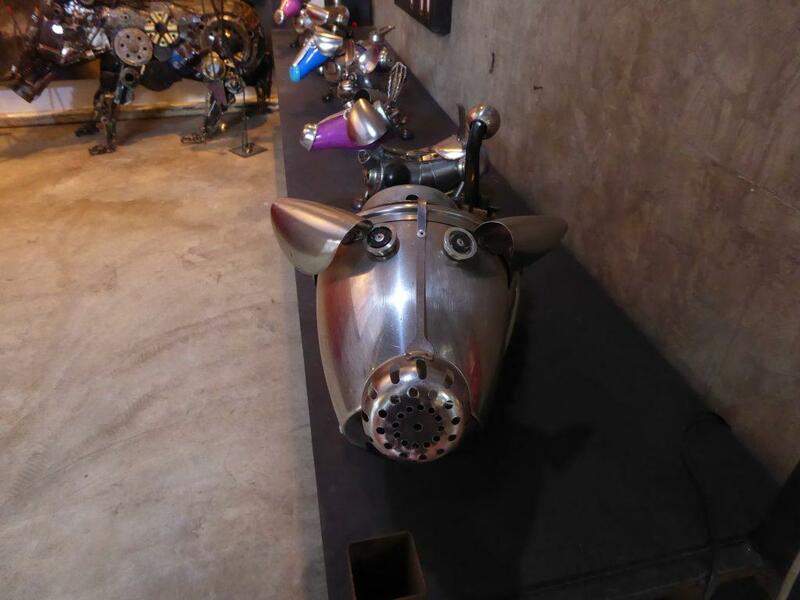 An art and sculpture market can be found in section 7 with booths and small galleries owned by local artists. The paintings on show are original and come in all sizes and prices and are a mix of styles from traditional Buddhist images to contemporary pop and abstract pieces. There are also sculptures and statues. 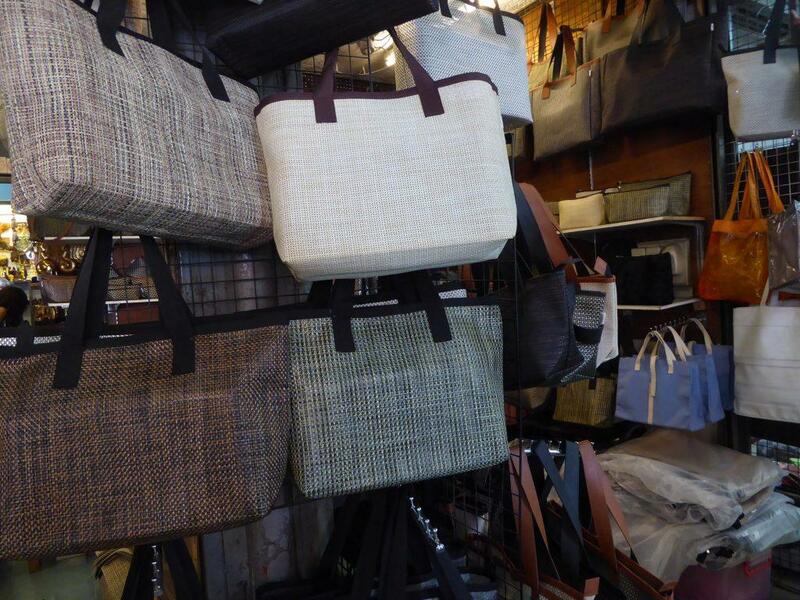 There is a large choice of stalls selling clothes, shoes, bags, and accessories in all styles to suit all ages and budgets. Many young Thai designers have shops here. 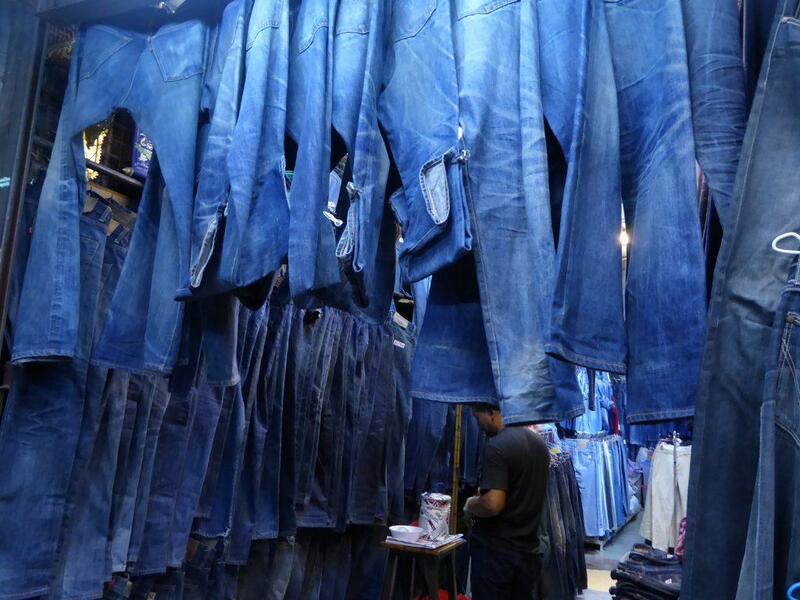 Vintage lovers are well catered for with a variety of retro shops selling old Levis, t-shirts, dresses, shoes and other items. 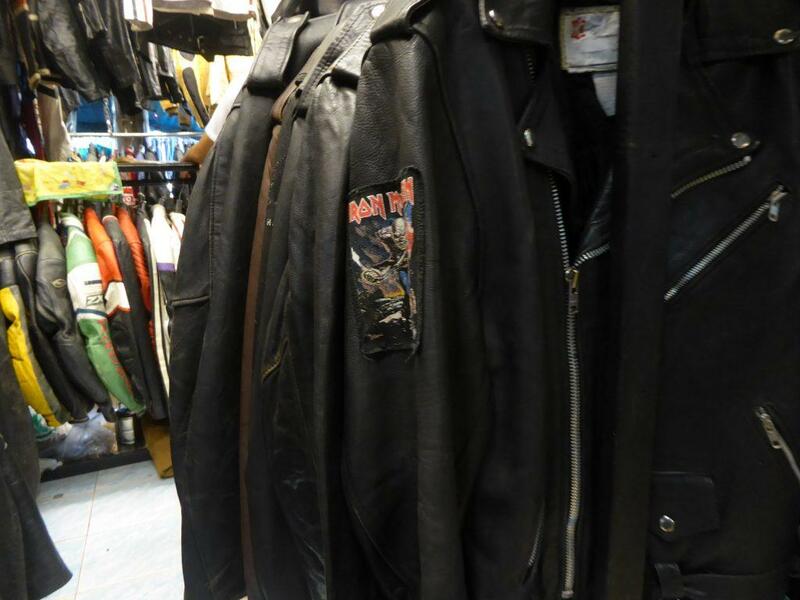 There are also shops specializing in army surplus, punk, rockabilly, cowboy, and skate wear. 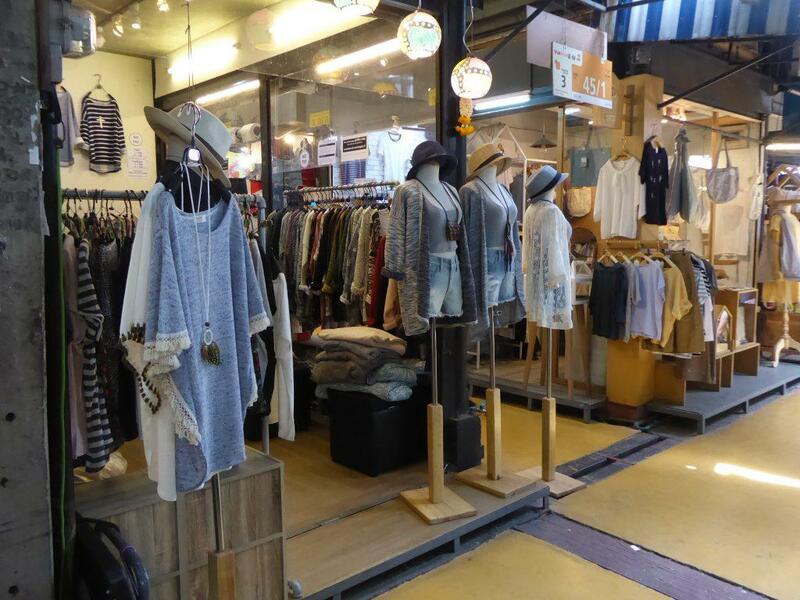 There are Clothing stalls throughout the market. The pet section is in the Jatuchak Plaza section. There are loads of cute puppies, kittens, rabbits, birds, and parrots as well as aquatic creatures and more exotic species such as lizards and iguanas. 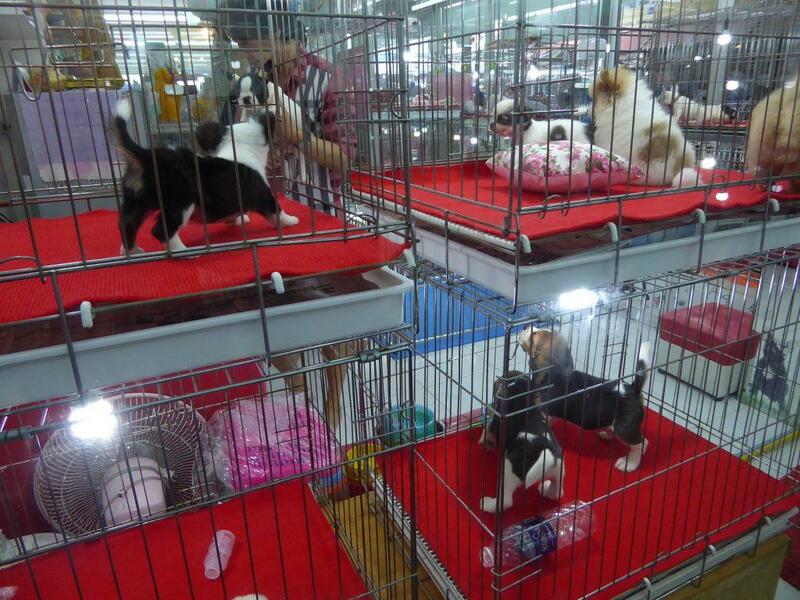 There are also many pet accessory shops selling leads, cages, toys, aquariums, beds, treats, beauty products and above all clothes. 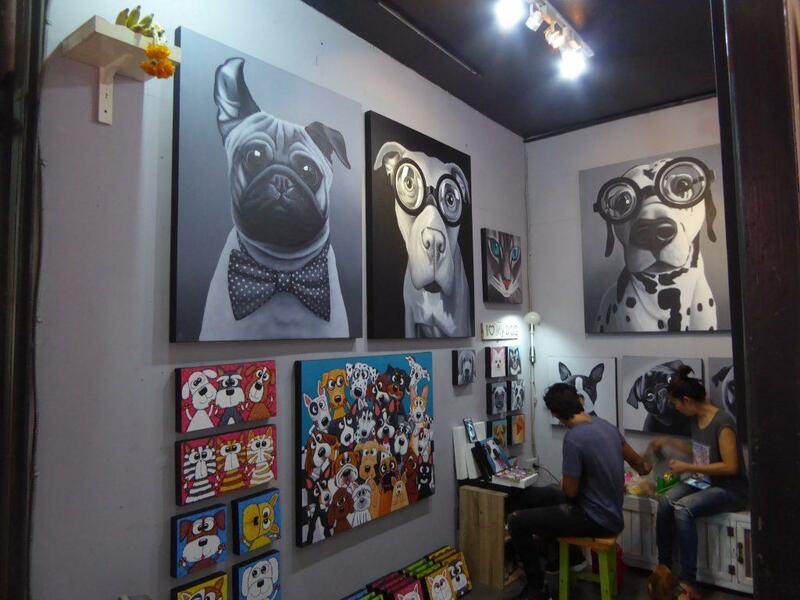 Dogs are well catered for with several boutiques offering a mind-boggling choice of t-shirts, shorts, dresses, superhero costumes, cosplay outfits, football jerseys, shoes, hats, backpacks, handbags, and even nappies. A present for your dog back home is a must! 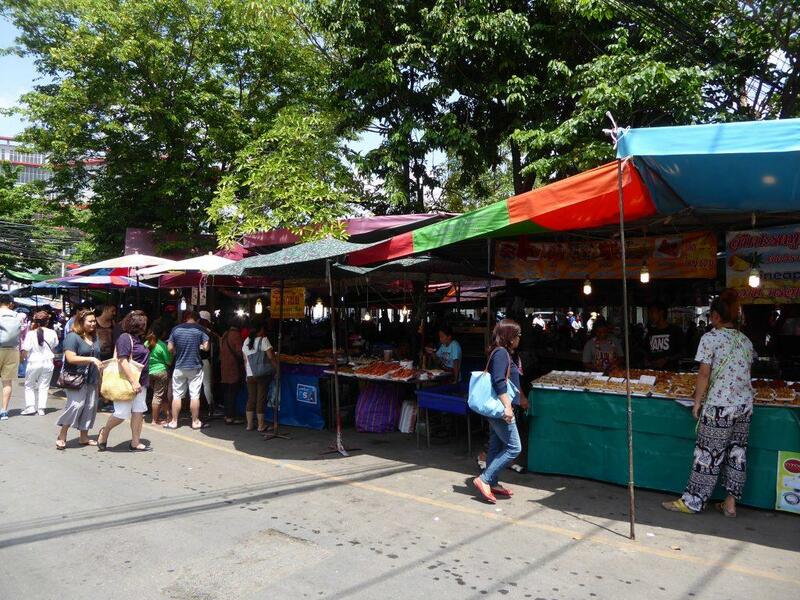 There are many pop-up cafes and street food type places around the market serving food and drinks. 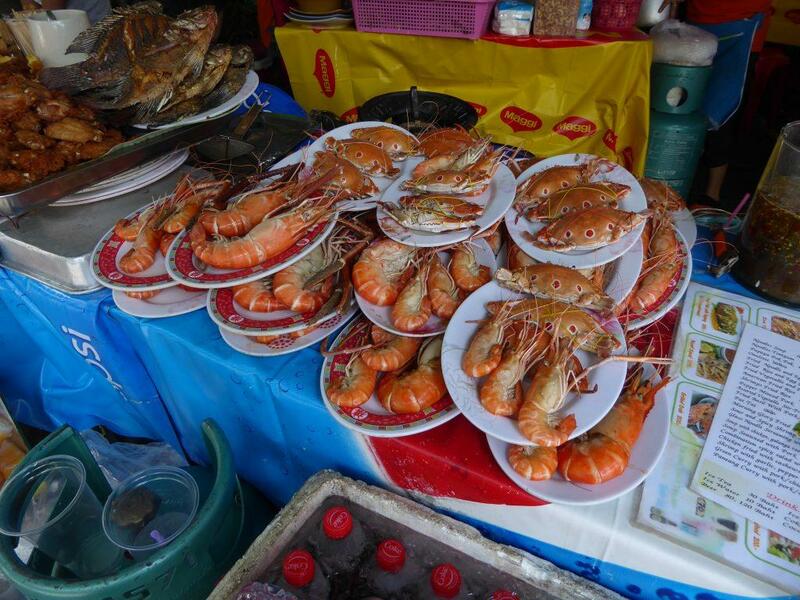 An open-air food market opposite sections 25 & 26 sells a variety of freshly cooked dishes including BBQ seafood. 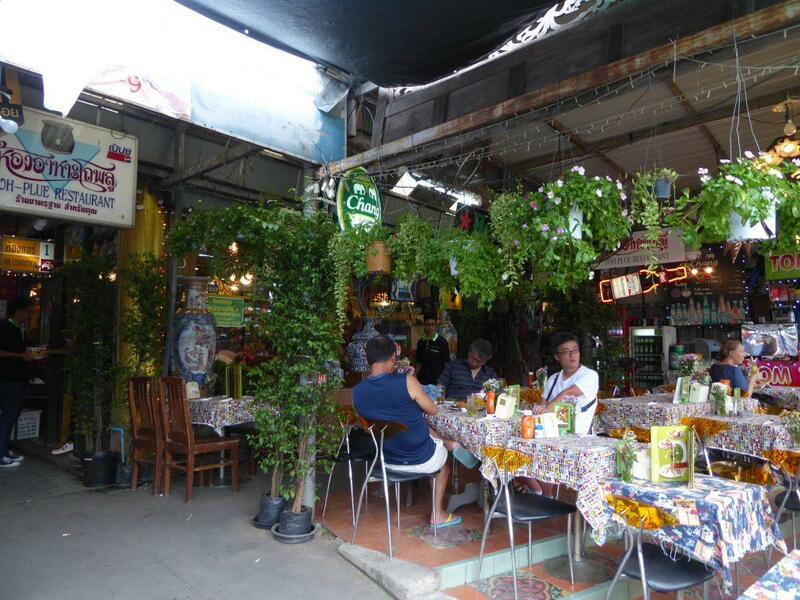 Toh Plue restaurant opposite sections 17 & 19 by soi 64 serves up good Thai food and has both outside and indoor air-conditioned seating. Viva 26 is a hidden gem. 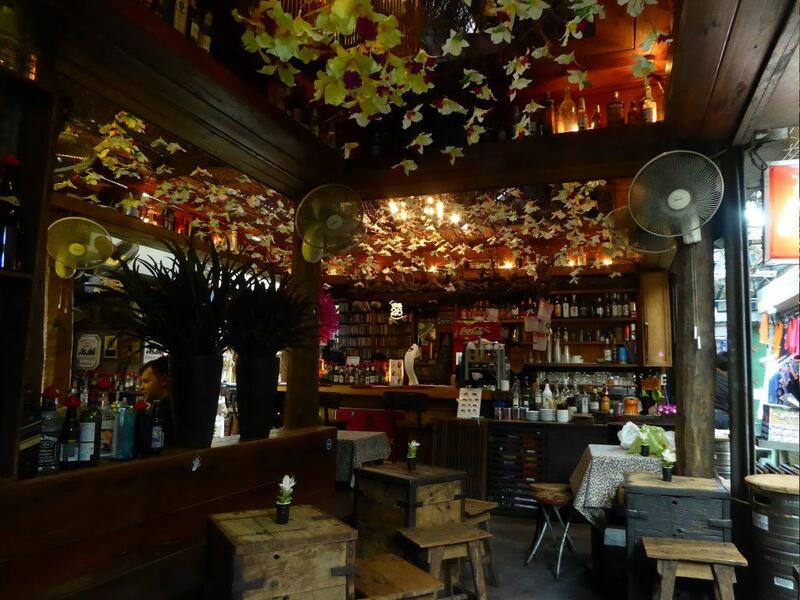 Located in section 26, Soi 2 it’s a cool drinking spot with beers, cocktails, coffee, shakes, and soft drinks. They also have a snack menu and occasional live music in the evenings. Late closing at 10 pm makes this a great aftermarket chill out spot. Check out the collection of beer bottles and cans from around the world. 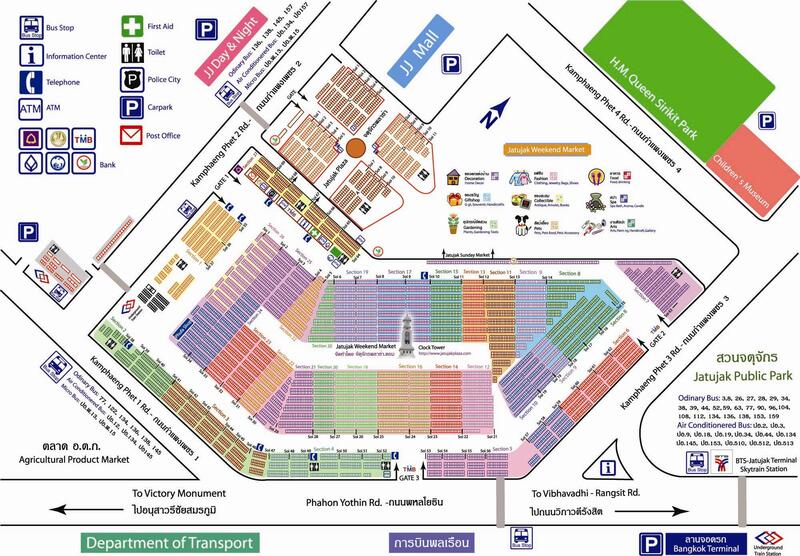 A night market is held in sections 16 – 21 from 22.00-07.00 on Friday & Saturday nights. The entrance is at Gate 3 only. There is a free hop-on-hop-off electric tram service that does a loop of the markets main internal road between 10.00-17.00 on Saturday-Sunday. There are ATM’S, banks, a post office, foreign exchange, and a medical clinic just inside the Gate 1 entrance on Kamphaengphet 2 road. 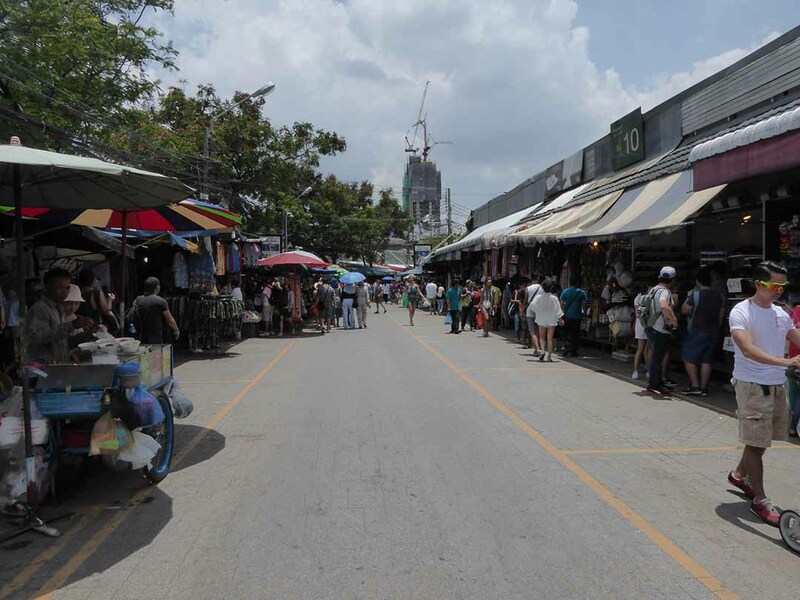 Chatuchak Weekend Market is easily accessible by both MRT & BTS and is on many bus routes. 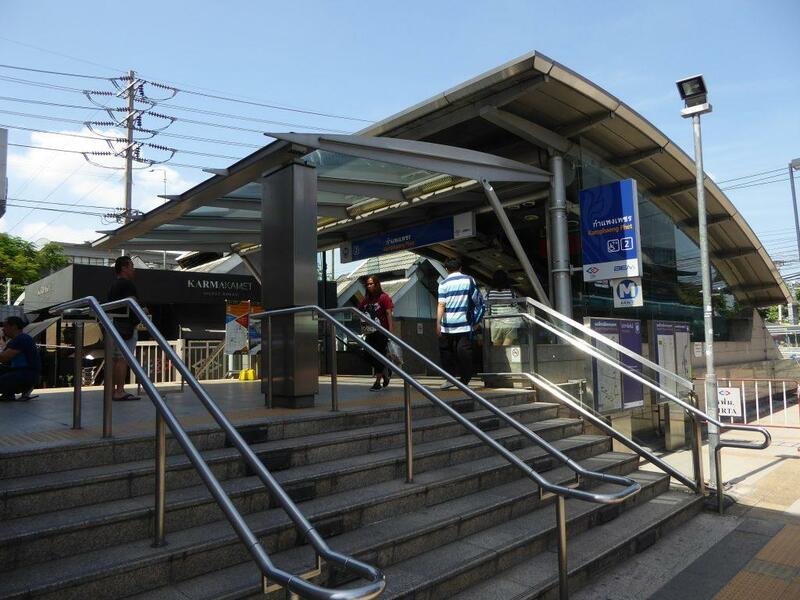 If arriving on the MRT get off at Kamphaengphet station and take exit 2 which brings you straight up inside the market. Take a pen and pick up a free map of the market from one of the information points near the entrances. If you see something you like, mark it on the map so you can find it again later. It’s easy to get lost. The market alleys have signs giving the section and soi number. If you find any oversize items such as furniture that you must have there are shipping agent offices in the market who can arrange to have the item shipped to your home country. Stallholders will help you with this. 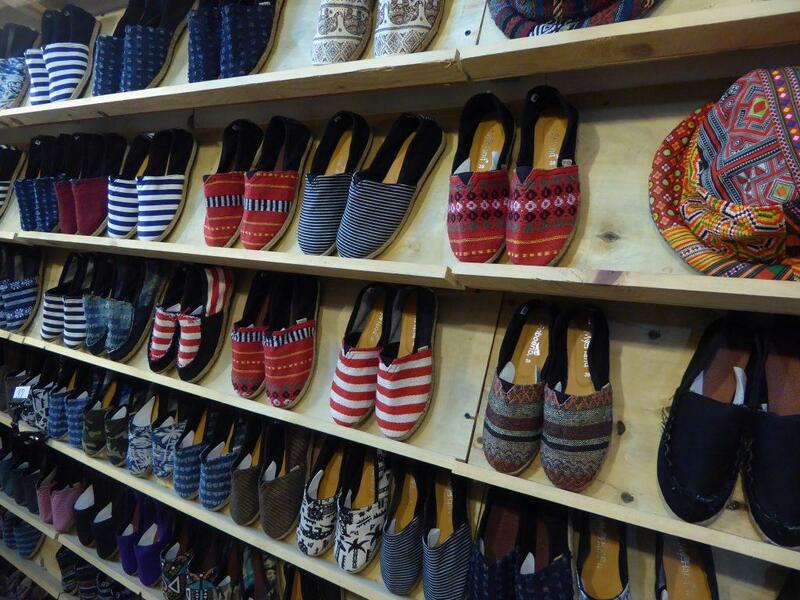 The same goes for wholesale purchases of smaller items. Note that Buddha images may need a license for export. Try offering half of the quoted price and take it from there. Don’t pay more than you can afford. 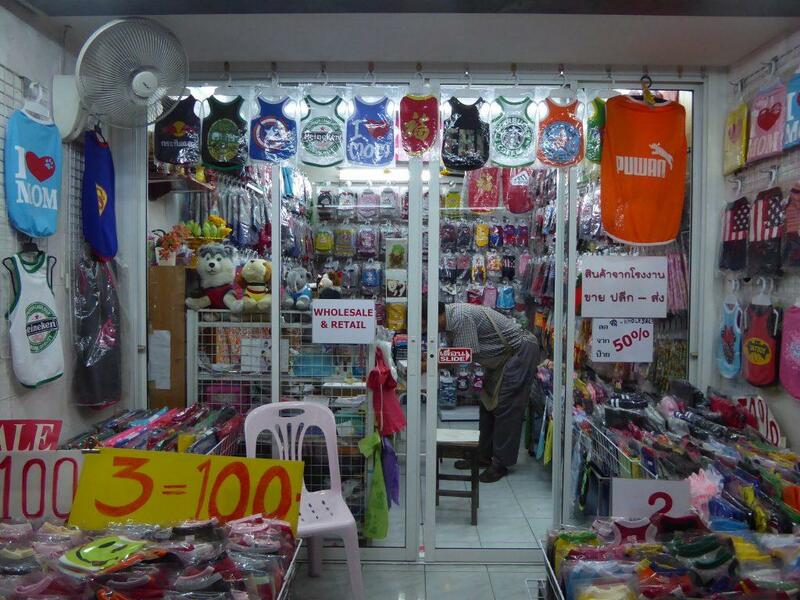 Many stalls have price signs or stickers and are not so open to bargaining but are usually happy to offer a discount if you’re buying more than one item. Most vendors don’t accept credit or debit cards. Bring cash. Try to visit early or late when it’s less crowded and also less hot. It can take a whole day to get around everything and can be physically draining especially in the hot season. Bring water and make regular refreshment stops.